For someone who is interested in art and beauty in everyday things, it came as no surprise that my sons have developed the same ‘eye’. 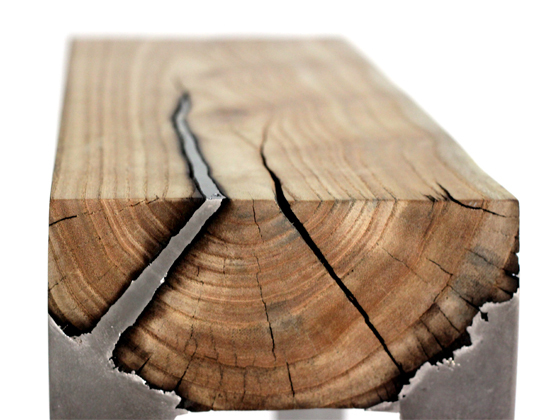 My son Nathan introduced me to Hilla Shamia, an Israeli furniture designer who combines wood and metal in a way you don’t see too often. Hilla Shamia is a Israel-based designer with B.Des. at Holon Institute of Technology, Industrial Design department. 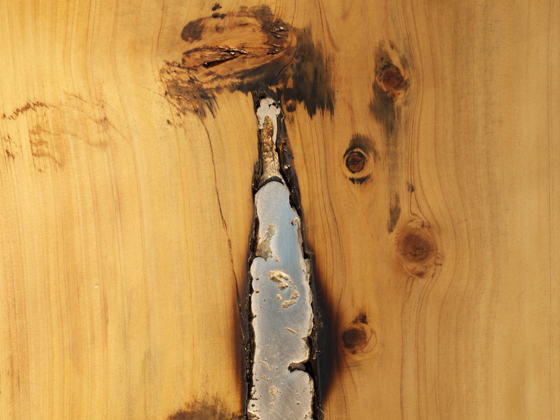 Hilla developed a unique technique that joins the materials of aluminum and wood. 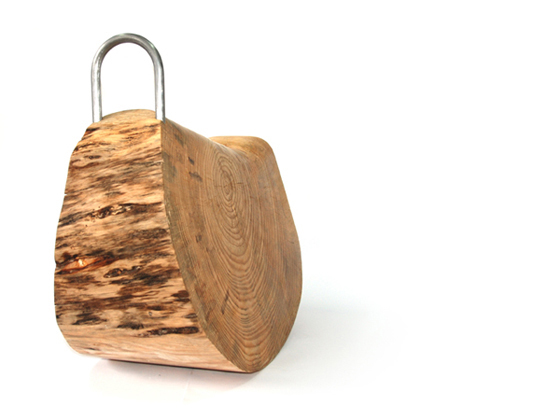 She created a series of furnitures based on this technique called – Wood Casting. 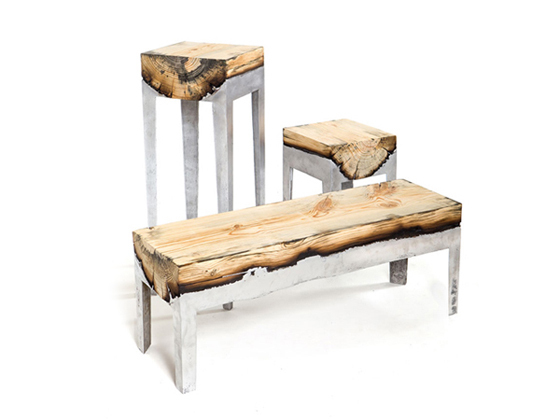 These ‘wood castings’ are made from a whole tree trunk, and that enables them to preserve the natural form of the wood while still maintaining distinct boundaries in its creation. Each is a One-of-a-Kind piece.